Here is a link to another post on leaders and managers. Probing this distinction helps us understand what hat we are wearing (manager or leader) and when we need to wear it. Wearing the wrong hat at the wrong time is more than unfashionable. It is dysfunctional! I am writing a series of posts on CRG about the differences between leaders and managers. They are two very different mindsets. Oftentimes, both exist within us. However, understanding when we need to think as a leader and when we need to think as a manager is crucial to success in our work. Here is the link. A second post will be up within a week or so. Thanks! In my latest post on the CRG website, I discuss a number of options congregations can use to dispose of trash in environmentally sound ways. It is a big deal—this trash stuff. Planet Earth is being overwhelmed by it. As congregations committed to protecting God’s Creation, we need to use best practices when it comes to the trash/waste produced by our congregational life. For more, please click on this link. Thanks! In my latest post on Congregational Resource Guide, I discuss some ideas about greening our congregations. This is not only a moral imperative to protect the plant. It is also a congregational growth strategy since many people today will not be part of an institution that is not actively working to protect the environment. Please follow this link to the Post and additional resources. Thanks! I am currently writing posts on various issues related to buildings for the blog at Congregational Resource Guide. My current post is on security systems: https://mail.westernpresbyterian.org/exchweb/bin/redir.asp?URL=http://www.congregationalresources.org/blogs/safe-sacred-places-building-security-systems I invite you to follow the link. In my experience, building security is not well thought out or well-implemented in many congregations. Oftentimes, I find it easier to get in a bank than the office door of a congregation. Something is wrong about that scenario! How do we balance security needs with the welcoming spirit a religious congregation should demonstrate. I welcome any thoughts you may have. You can post them either at the CRG blog or here. I plan on putting links here to future CRG posts. When I complete my time writing for CRG, I plan on writing regularly in this space. 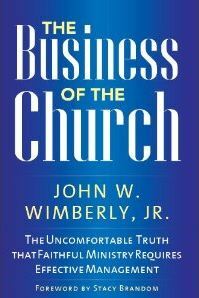 I am grateful for the wonderful response to my book The Business of the Church. In February, I will be speaking on management issues for the Center for Congregations in Indiana as well as the Synod of Mid-America and The Heartland Center in Kansas City. In May, I will be leading a group at Lake Junalaska in Asheville. In July, I will return to Union Theological Seminary in Richmond to lead a one-day seminar. 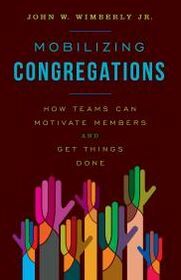 Thanks to all of you for your support as, together, we think about how we more effectively manage our congregations. In Daniel Pink’s best selling book Drive, he describes three things required to motivate today’s employees. My guess is that they are equally valid for the volunteers who work so hard in our congregations. They are autonomy, mastery and purpose. As managers and leaders, do we encourage the use of creativity within congregational staffs and volunteers? Or, do we attempt to control creativity with fairly rigid supervisory styles? If we are doing the latter, we are de-motivating employees. A managerial challenge in the 21st century is figuring out ways to give people increasing amounts of autonomy and freedom to do the job the way they want to do it while insuring that they are also accountable to the objectives and strategies of the organization. 3M provides a classic example of how autonomy can pay off. They give their technical people 15% of their work time to pursue individual projects. The ubiquitous “post-its” were invented by one employee during his creative time. Can we give our staff and volunteers comparable freedom to pursue individual projects that will benefit the congregation as a whole? Most of us what to become masters of what we do. Helping employees and volunteers to develop mastery of their roles is an important part of managing. To achieve mastery, do they need continuing education, better technology resources or what? Whatever they need, if we want them to grow more skilled, we need to help them get it. When an employee or volunteer sees his/her work as contributing to a greater good, their sense of purpose will translate into a more highly motivated person. As managers, we need to connect employees to the greater purpose for which they work. Young parents will not join a congregation if they see a dirty or unsafe building. The cleaning and maintenance staff needs to understand that their good work leads to the growth of the congregation. Autonomy, mastery and purpose—-three keys to motivating today’s employees. In his recent, best-selling book, Drive: The Surprising Truth about What Motivates Us, Daniel Pink challenges his readers to move beyond a “carrots and sticks” approach to motivating employees. “Carrots” usually involve financial bonuses of some type. “Sticks” are threats of various types (termination, demotion, lack of promotion, etc.) if certain performance goals aren’t met. In fact, Pink shows convincingly that such an approach fails with today’s workers. As a young adult, I worked on a production line for a couple of years in an Oscar Mayer meat-packing plant in Madison, Wisconsin. At the plant, industrial engineers established a baseline level of daily production for various departments. Any extra production the workers generated that surpassed the baseline entitled them to bonus money. In many weeks, my department was able to increase our paychecks by as much as 20%. However, as Pink rightly points out, there are very few production lines in today’s workplaces. Instead, we are doing tasks where it is hard to quantify a baseline. This is most definitely true in the church. Will we receive a bonus if we recruit “x” number of new members? How can we gauge the impact of a sermon or pastoral counseling session? What constitutes a good education program? Actually, there are ways to quantify results in ministry. Worship attendance, new members, pastoral calls made, and number of programs running successfully are just a few. However, we cannot view them as targets for which, depending on the outcome, we will receive external rewards or punishments. Instead, our motivation needs to come from internal needs and desires. Key to unleashing internal motivation is allowing employees the opportunity to be creative and have autonomy. I knew a pastor who required his staff to report what they were doing in one hour increments. What does this say to the employees about their autonomy? How creative can we be when someone is breathing down our throat? Pink uses illustrations of companies who are allowing their employees a certain number of hours per week to pursue creatively their own ideas about what would improve the company. One of the most famous examples is the Post-It which was created by a 3M employee who was given time to invent things on company time. The employee made some extra money. The company continues to reap the financial benefits. What would happen if we unleashed our employees to be creative? Certainly, they would need more autonomy and less job description-driven work. However, might not the Holy Spirit makes its way into the midst of such creative autonomy? In another blog post, I will write about some of the problems with this approach. Most important for me, what happens when employees use their creative time to feather their own cap rather than feather the cap of the congregation as well? But before we can even deal with that problem, we need to allow employees more freedom to pursue ideas for ministry. As they pursue such ideas, the motivation will come from within, not from their pastoral or lay supervisors.